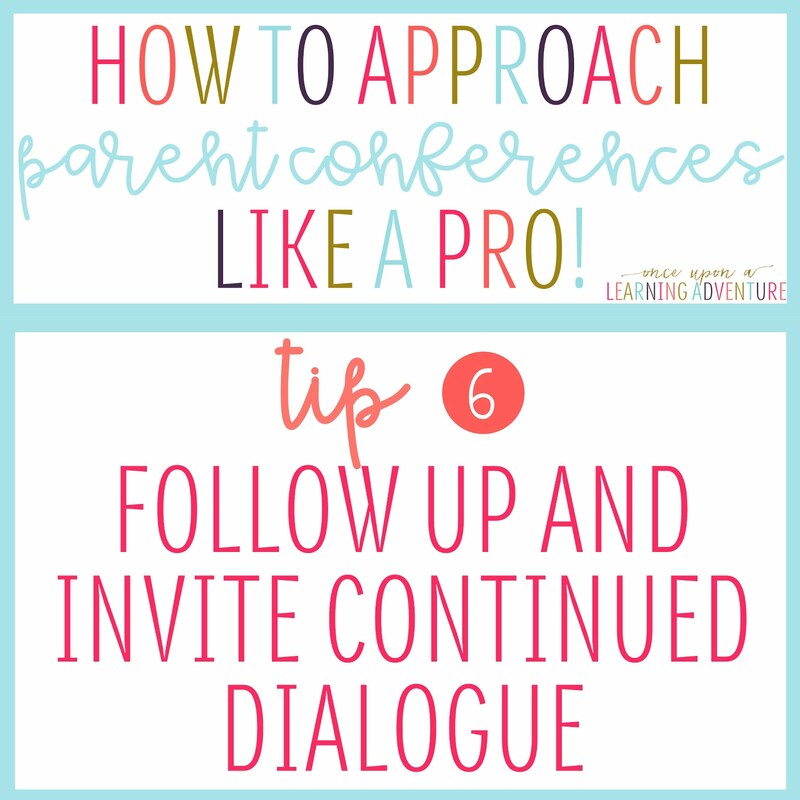 Once Upon a Learning Adventure: How to Approach Parent Teacher Conferences Like a Pro! 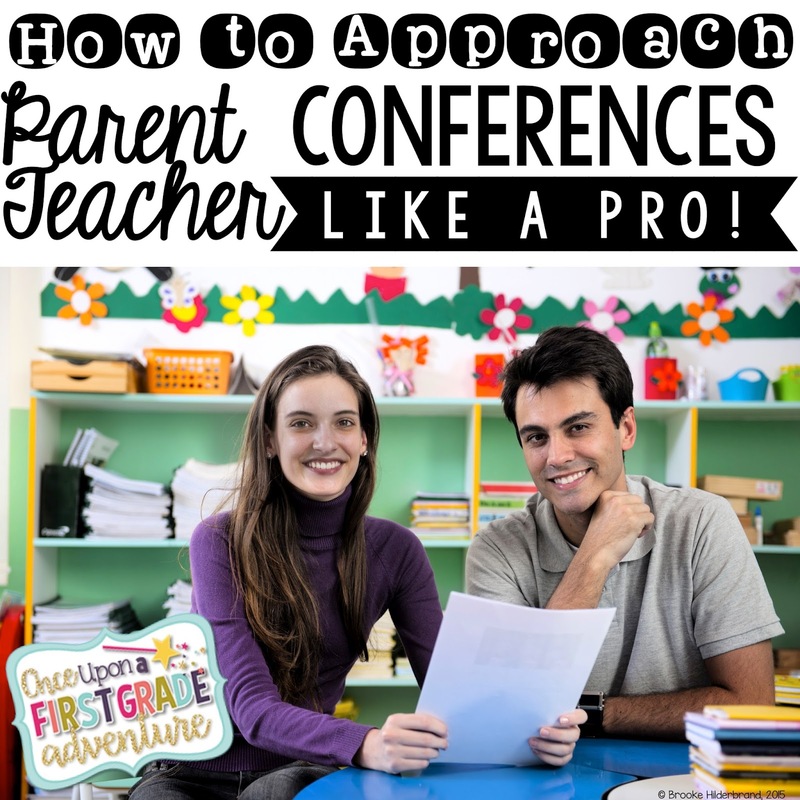 How to Approach Parent Teacher Conferences Like a Pro! 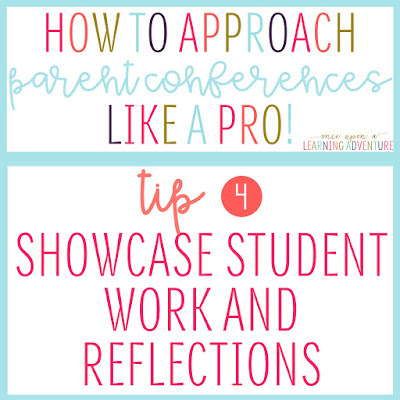 Anyway, as the time for those very first conferences got closer, I began to do some research (as in, majorly drilling my colleagues) regarding what in the world I should expect, what to talk about, and how to get my students' parents to see that I really want the best for their children, even when I might have some not-so-great things to tell them. The more I talked with my teacher friends, and the more prepared I became, I started to relax about the idea of talking to my students' families. These were, after all, their supporters, and I definitely wanted to be on the same team as anyone who also had my students' best interests at heart. 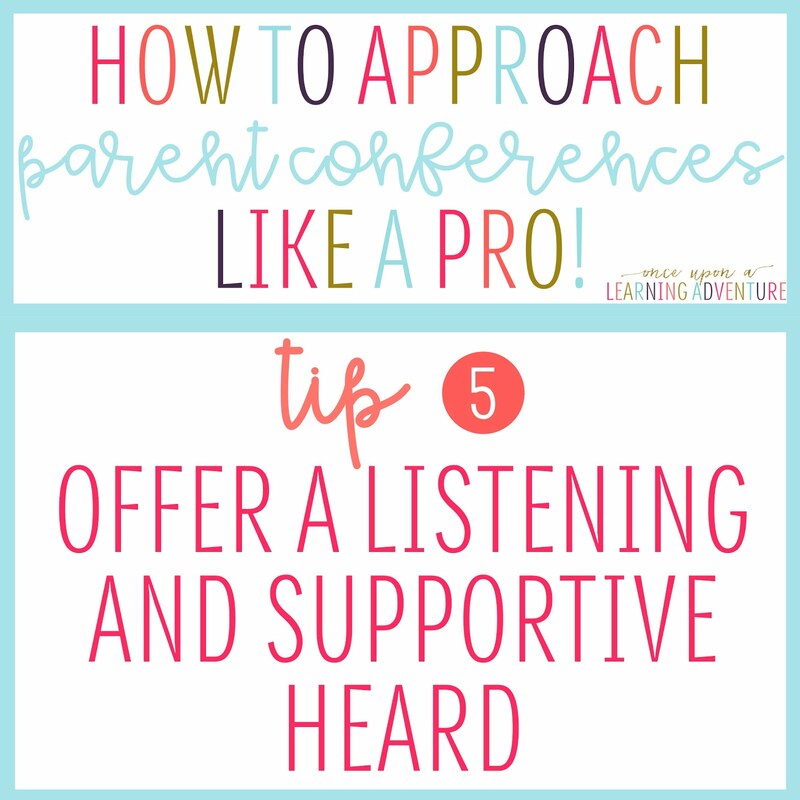 Over the years, I've definitely become more effective at communicating with my students' parents and supporters, and I no longer dread talking to them at conferences. In fact, other than the long hours that conference days provide, I really look forward to talking with my students' families now. I love relaying positive stories about our "shared kids," and I am always amazed at how much I can learn about my students through listening to their parents and caregivers speak about them for a few short minutes. 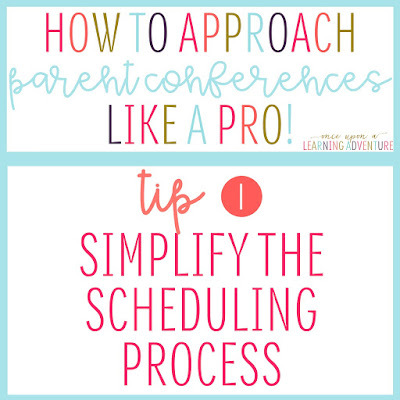 I cannot tell you how long it took me to jump on board with online scheduling, but now that I have, I could not imagine doing it any other way! I used to send back and forth notes with suggested time slots, and what a hassle that was! Now, I use a free website called SignUpGenius, and it has been such a time and life-saver! No more notes back and forth--it is easy peasy! 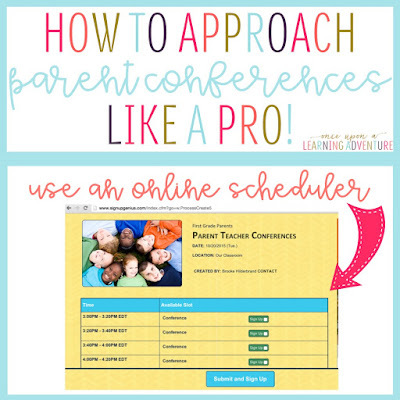 I simply set up my account, create a conference sign-up form with the dates and times available, and then I allow parents a chance to sign up using our classroom computers during Back to School night. 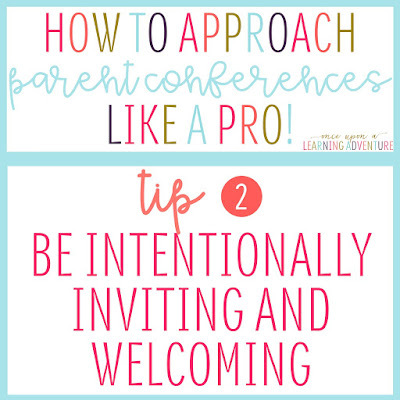 I also send home a quick note featuring the sign up link for any parents who chose not to sign up that night. So simple! Plus, parents get an automatic email reminder, and they can easily change time slots should they need to reschedule. This is something that my current school is really awesome at! 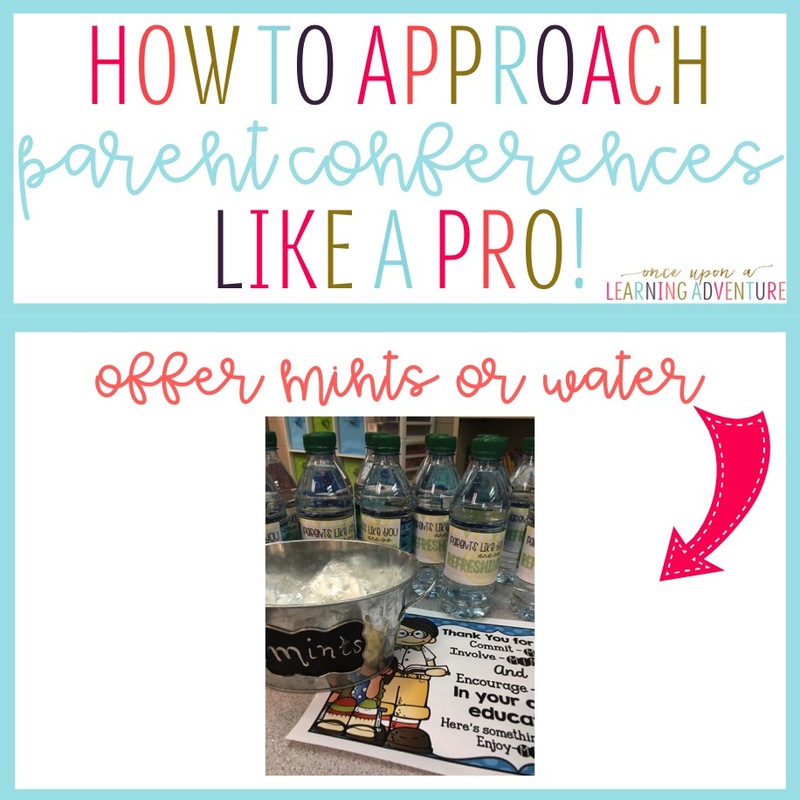 When you walk down the halls on Parent Teacher Conference days, you'll see desks with tablecloths and pretty decor, bowls of candy, and samples of student work on display. It is so inviting! 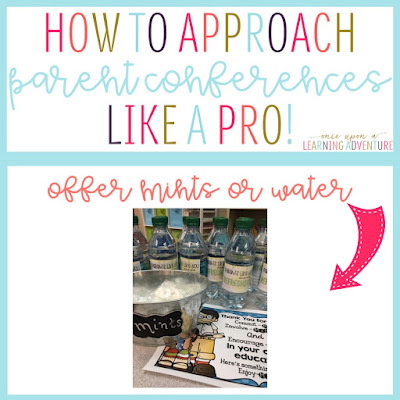 This year, I used some adorable freebies to share mints and water bottles with my students' parents, and the looks of surprise and gratitude on their faces were fantastic! The adorable free water bottle labels can be found at The Lemonade Stand, and while you're there, be sure to check out some of her other wonderful ideas! The free mint note can be found at Nicole Bunt's Teachers Pay Teachers Store. I love the idea of "making deposits before withdrawals," so I'm always sure to give lots of positive feedback and share the strengths of each particular student before discussing any areas that need to be focused on. 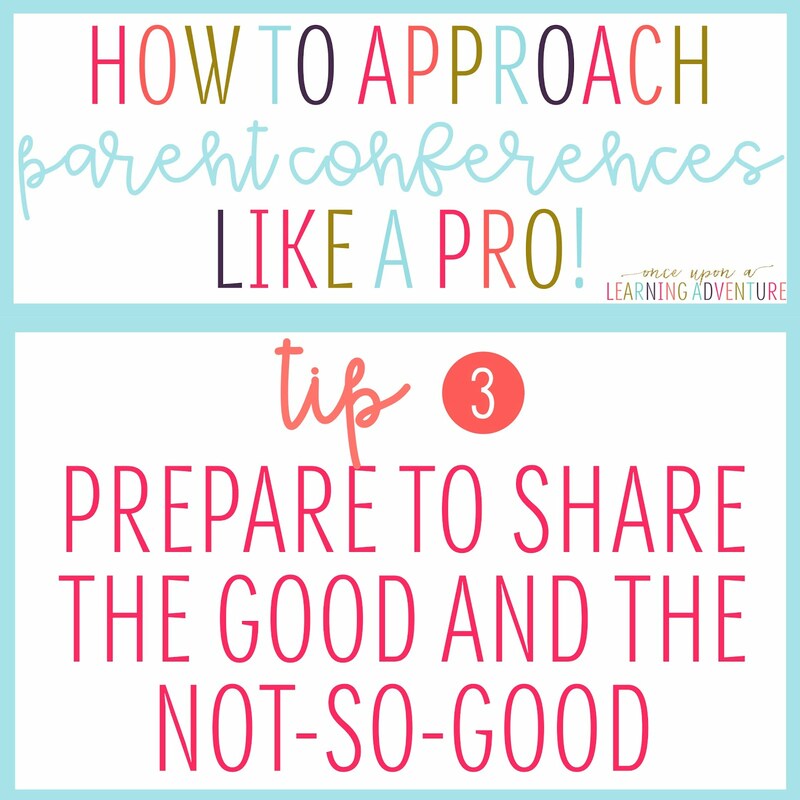 To guide the conversation, I like to refer to a rubric or a check-in form during each conference. This helps me to highlight what I really need to talk about without getting distracted (because I kind of like to talk--a lot). 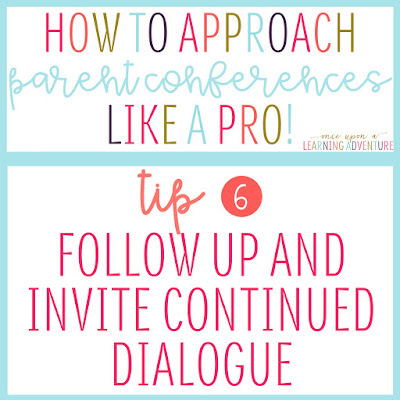 I always explain to the parents that the rubric or form is just a guide to keep me on track, and that they are welcome to discuss anything that they would like to discuss in addition or in place of this guide. I usually talk about strengths, then discuss one or maybe two things I would like for the student to work on during the next part of the school year. I try to keep things positive, but I also try to keep it real. It doesn't help the child learn, grow, or change, if we're not all on board to support a new skill or behavior. They say a picture is worth a thousand words, and I definitely believe that to be true! I love to show off each student's work and discuss how he or she has grown so far during the year. 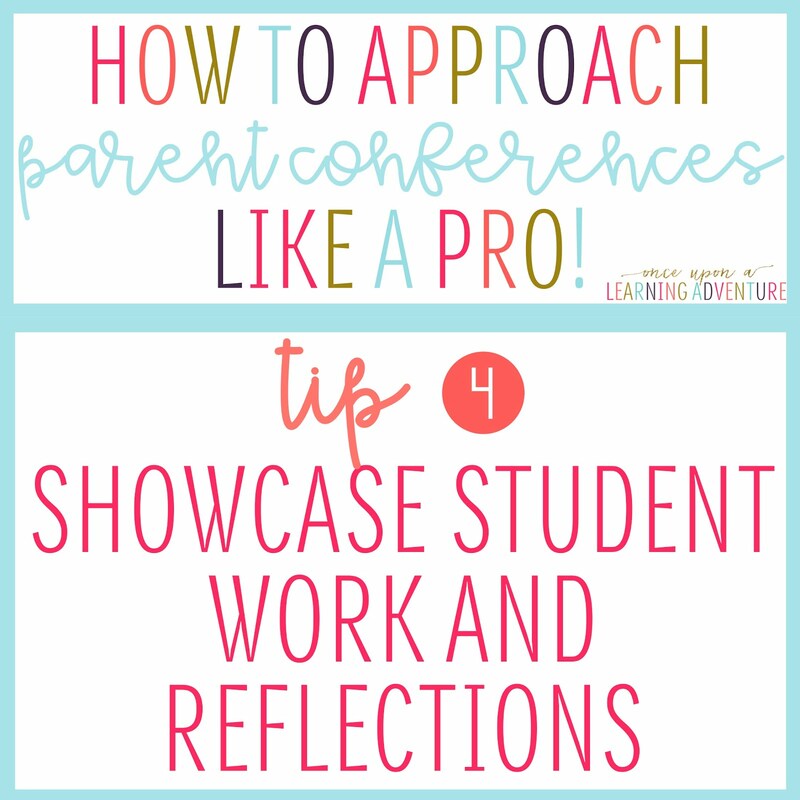 I also sometimes use this opportunity to show parents what might not be a students' best work if he or she has made a habit of rushing through things or putting in little effort when I know they're capable of more. Sometimes it is just nice to be heard. Parenting is a tough job, and many parents, especially those who do not work with children on a daily basis, need some encouragement and affirmation that they are doing good work! 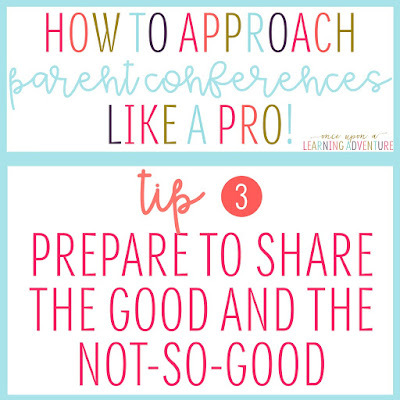 They may just want to share funny stories about their child with you, or they may be concerned about their child's behavior at home, even though they may act like a perfect little angel at school (they all do, right?). Or, maybe they see some of the same behaviors and issues that you see in the classroom, and need support or suggestions for how to help their child at home. 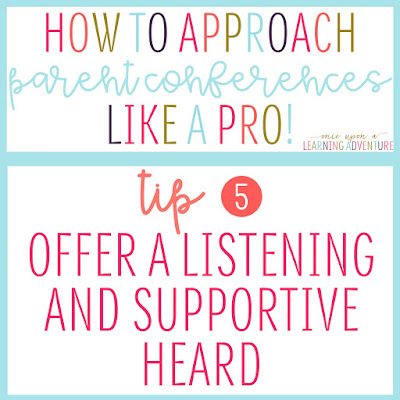 Through listening to the questions, concerns, and stories of each parent, you are building a relationship and fostering collaboration. Find out what the child and maybe even what the parent needs, figure out a way to work together to make it happen, and follow through! This last one is just as important as the rest. 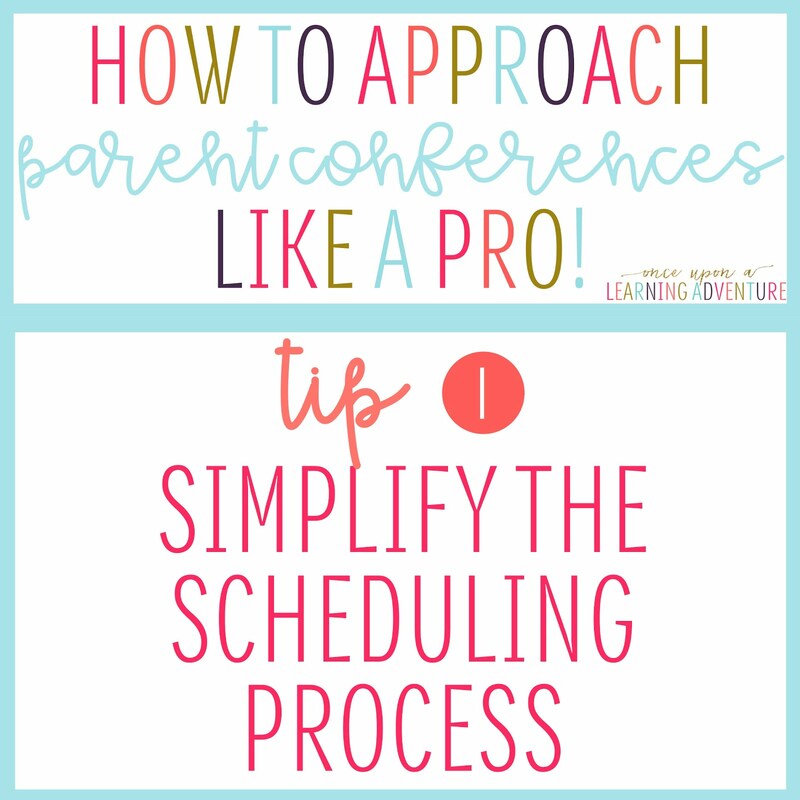 Make sure to thank the parents for coming, and invite them to contact you if they have any other questions, concerns, or just want an update on their child's progress. I like to send a little thank you note about a week after the conference just to show my appreciation and willingness to continue communication. Sometimes after a few days of thinking things over, parents may or may not have more questions, so it is great to check in! 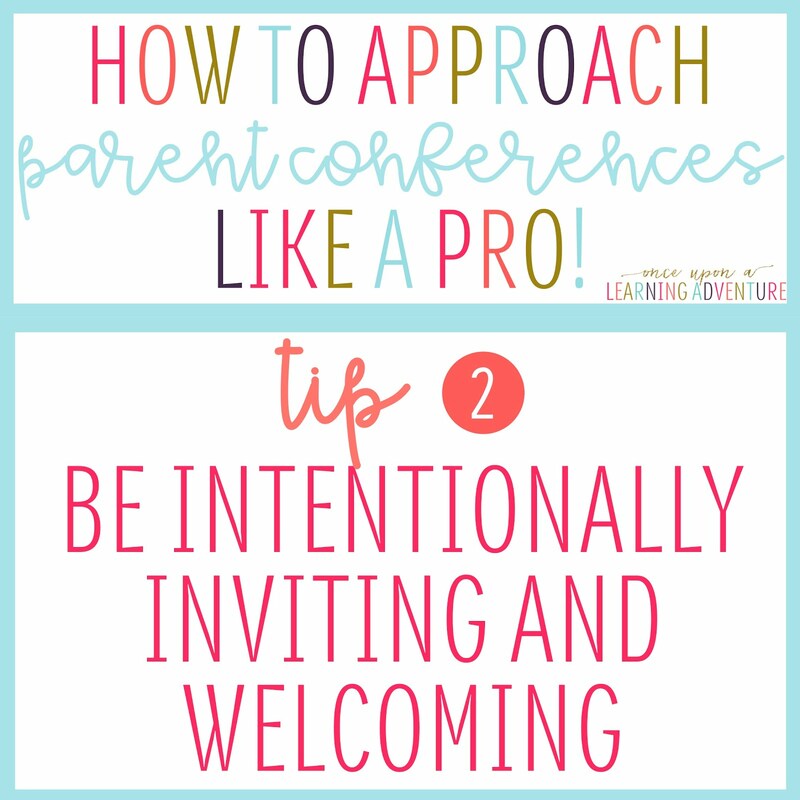 I hope you have found these tips helpful as you plan your next Parent Teacher Conferences! 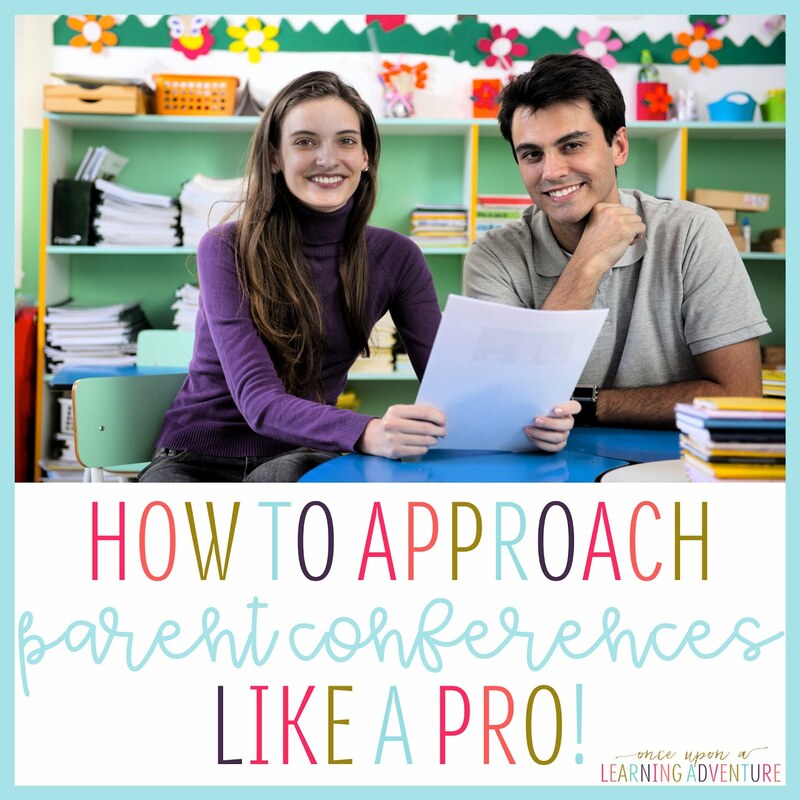 I'd love to hear your fantastic conferencing tips, too, so if you've got some great ideas, please share them! 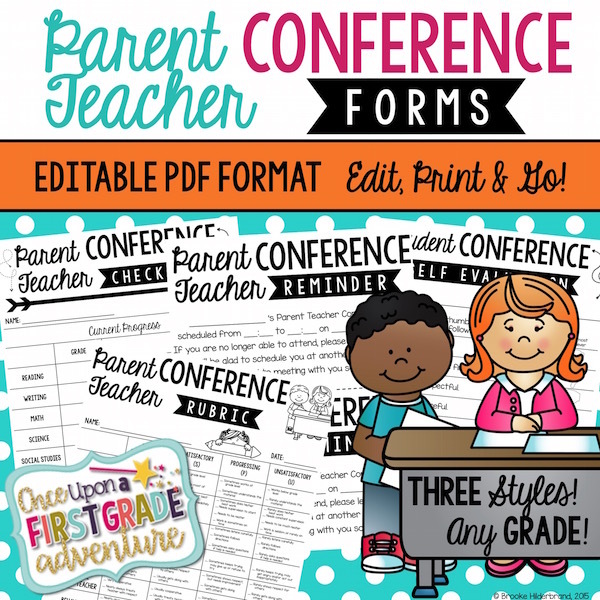 Also, if you would like to check out the resources that I use in my own classroom for Parent Teacher Conferences including my rubrics, scheduling sheets, student reflection forms, and thank you notes, please stop by my Teachers Pay Teachers Store to see my newly added Editable PDF Parent Conference Forms which come in three styles to fit any classroom's design! 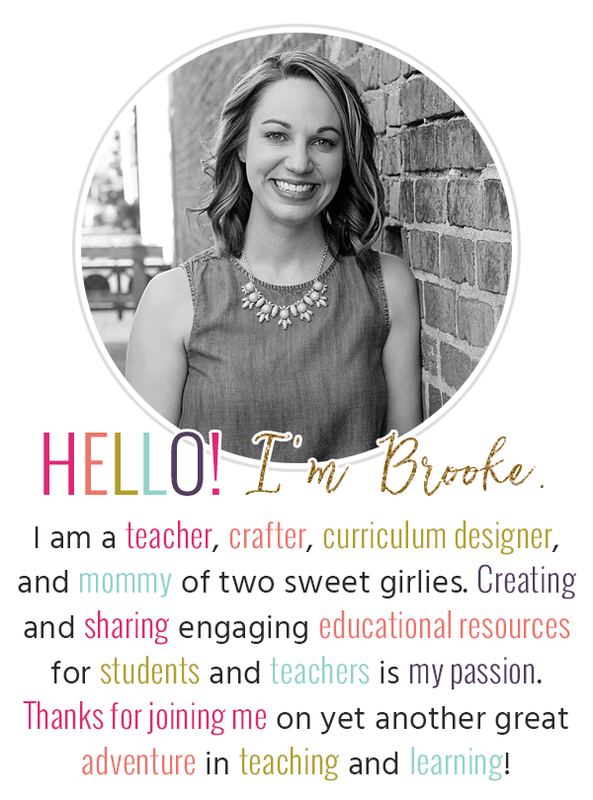 As a thank you for visiting my blog and store, if you download the "Free Preview" file, you'll get a sample of an editable Self Reflection activity that you can use as is or even modify for use in your own classroom for FREE! Enjoy, and Happy Conferencing! What a great post. I love these ideas. I'll definitely be implementing them during fall conferences! What a cool post! It's very informative and you've prepared so much additional material! Good job Brooke. You know, I think that in a teacher conversation should be included some ways to facilitate student's academic process. Let it be some apps or top rated resume writing services 2017 or well-developed schedule for a relaxed studying. It can be anything you want but this aspect is very important. As a Mom of the little student, I know how intensive studying might sometimes seem! Good Post : Click Here To MPWZ Recruitment 2017. This is a great idea that you've shared! Thank you very much!